Since 2004, Chive has created innovative and simple designs to highlight the unique beauty of your floral arrangements. A kick to the rear of musty Dutch floristry, Chive’s elegant vases easily compliment any setting, from classic to contemporary. 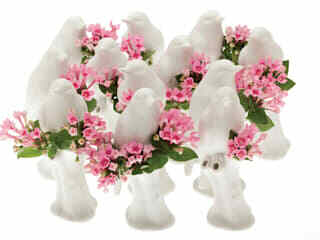 They are a wonderful addition to any home, business, wedding or event. Using a versatile array of media, including glass, plastic, aluminium, porcelain and ceramic, Chive's collections debut biannually. Our line is original, dynam­ic and committed to showcasing the very best in design inspired by nature. Fresh, new-school designs coupled with our unpretentious, old-school approach to customer service are what set Chive apart. 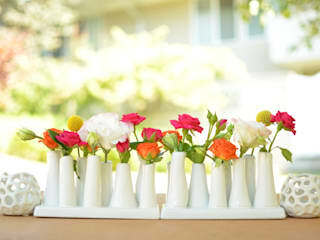 Chive vases are now carried in over 6000 flower shops, gift shops, museums, and home décor stores across North America. 2012 saw Chive's arrival on European soil and since then we’ve been steadily shipping from our warehouse in the UK.